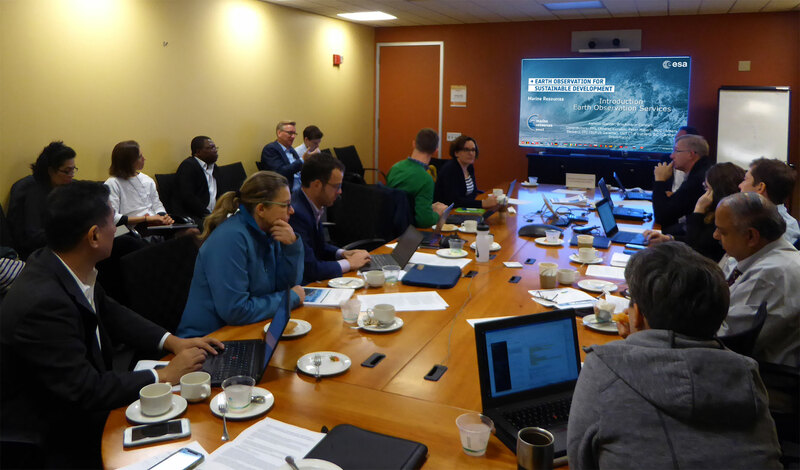 The EO4SD Marine and Coastal Resources consortium have recently returned from a week of meetings with the World Bank in Washington DC, where they discussed plans for the first phase of the project. 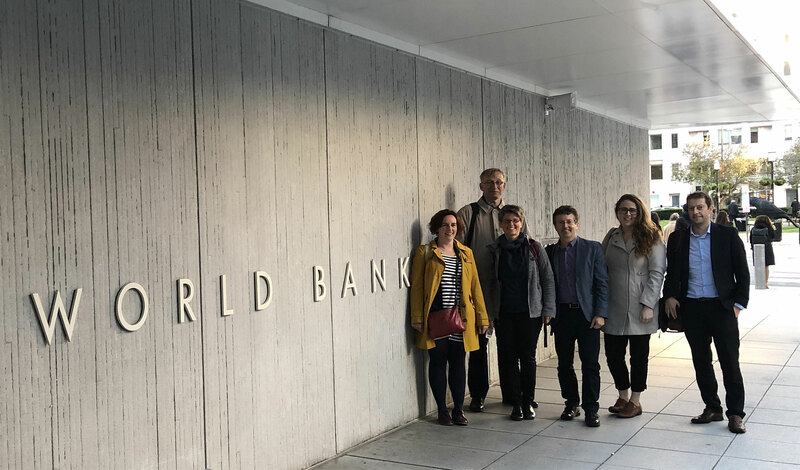 The week began with a “Brown Bag Lunch”, co-hosted with the World Bank’s Global Practice on Environment and Natural Resources and attended by around 50 people from the World Bank and Global Environment Facility. This was an opportunity to introduce the project, consortium team and proposed Earth Observation (EO) services ahead of other meetings with World Bank teams that cover themes such as the Blue Economy, Aquaculture, and Pollution, or have responsibility for regional initiatives in (among others) the Caribbean and East Asia - Pacific. The West African Coastal Areas (WACA) project also hosted a knowledge exchange event. The visit provided an opportunity for the consortium to present its portfolio of proposed EO-derived information services, and gave them a greater understanding of the various World Bank programmes in specific regions (West Africa, Caribbean, East Asia – Pacific, and the Western and Northern Indian Ocean). Discussions at the meetings helped the EO4SD team identify projects where the provision of EO-derived data could assist in filling information gaps. This in turn has made it possible to refine the service portfolio, select test locations for the demonstration service, and develop more detailed plans for the first phase of the project, scheduled to finish in May 2019. The Washington meetings were also instrumental in establishing contact with major stakeholders in order to verify the type, scope and scale of planned service production and consolidate plans for their participation in project activities.